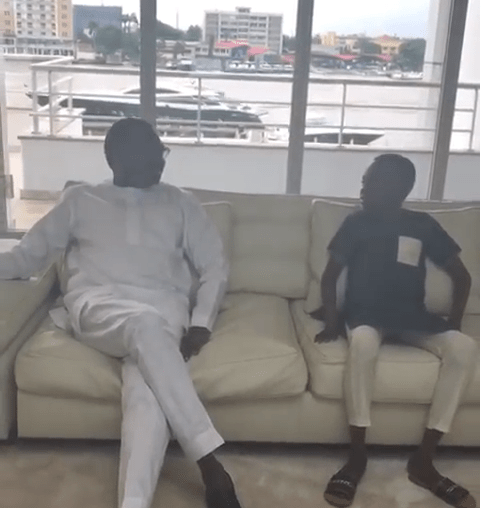 Billionaire businessman, Femi Otedola, has revealed that he will be sponsoring the education of young Nigerian rising star, Megabyte all through his university level. This is coming after the father of four was thrilled by the rapper’s performance at Comedian Kenny Blaq’s event. Invited @megabyteofficial to my office. This young man inspires me and I have decided to pay for his education immediately and all through university?? … F.Ote?. The young rapper first met the Billionaire businessman at Kenny Blaq’s comedy event last week.